With Pokémon Omega Ruby & Alpha Sapphire being two of the most anticipated 3DS releases of 2014 – as well as one of the most requested remakes from the Pokémon line – it comes as no surprise that over 1.5 million copies of the latest entries in the series have been sold in Japan within the first three days of its release, from November 21 to November 23. This impressive figure is via Famitsu, which notes that the sales numbers include the double pack, but exclude all download sales. Adding to this positive news is a rise in local 3DS sales, with a total of 83,129 units sold last week (3DS LL, New 3DS, New 3DS LL), which is up from 51,390 units sold in the previous week. 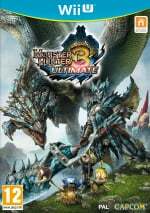 The sales for Pokémon Omega Ruby and Alpha Sapphire make it the fourth best software launch for the 3DS in Japan, behind Pokémon X & Y, Monster Hunter 4, and Monster Hunter 4 Ultimate. We typically prefer to share the Media Create figures, so consider this a happy warm-up ahead of the full charts and numbers later today. 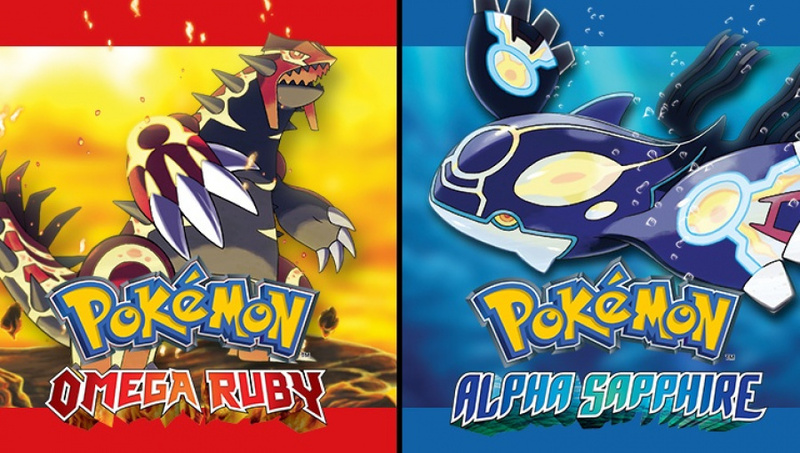 While we wait for the release of sales numbers in the West, let us know in the comments if you bought either – or both – Pokémon Omega Ruby and Alpha Sapphire on release, or if you plan to buy the latest entries when they are finally released in your area. Pretty much as expected. Huge software sales, but not a huge impact on hardware. I imagine MOST Pokemon fans would have upgraded last year for X/Y. There won't be many that felt that game wasn't worth upgrading for but a remake is. I wonder what's next from them. We've had a new Pokemon game for 3 holidays in a row now, but will they go for 4 in a row? It seems too early for the next generation, and they won't do another remake so soon, but they also seem to have dropped the idea of the combined versions from the older generations. Hmmmmm. @Peach64 I honestly doubt they'll go for another Gen 6 game. There's no need to do it anyway. The "special editions" (yellow, crystal, emerald etc) were mostly made so you could get the last Pokémon, that were missing in each generation and with XY and ORAS you're already able to get everything. I wish they would take a small break from Pokemon and give us something different. Or a spin-off game like Pokemon Ranger. -Too many bought both versions. @Tritonus They sold 215,000 3DS consoles last year in the week Pokemon XY launched. @Peach64 Also, EVERYONE in Japan now owns a 3ds. so nobody left to sell to lol - hence the NEW 3ds! - which is such an exciting upgrade btw! whats the combined number of the four 3DS models sold though ?, is the 83,129 only for the New 3DS LL ? Is it a RPG, does it have a nice story or something? @Tsurii897 I have never been a huge Pokèmon fan, but from what I can tell, they have been making crapy-designed pokèmon for the last two or three games. This is going purely off the comments of others I have seen, so I can not be a true judge of this. I have been cosidering getting Saphire, but am still deciding. As a real Pokèmon fan, what is your opinion? Should I go for one of the remakes, or should I get a copy of X/Y? Joining the discussion... I feel like they'll take a brake next year. Or maybe they'all just give us 'Z' (or whatever it's supposed to be). Don't think a new gen will start without another gen 6 game... And the 3DS is getting kinda old. A new hardware should be announced at E3 2016, or even next year... So many possibilities! Let's see what's gonna come. For everyone wondering whether you should start with XY or ORAS... Me personal recommendation is ORAS! It's a much more enjoyable game overall. People are experiencing too much water. ORAS is beasting, but hardware sales still aren't touching last years. That's amazing! I have never played a pokemon game before. I wonder if I should give it a try. Any advice as to why I should play these games? Can't wait to play it, mine will still take a while to get shipped. I just heard the new version of the Route 120 music, and nostalgia Falcon Punched me in the face. And I'm pretty sure we'll get Z around next year or so. If they make a nice post-game (XY's was pretty much non-existent), give us Battle Frontier, and enough differences (I'm hoping it's like BW2, there was a lot of new stuff compared to the other third versions) I'll get it. meh, sadly right now nintendo knows that pokemon makes good money and wail they are getting out of the hole until they do they will continue to make these yearly thing I feel. I also feel once the new handheld that I would say will come out in two or three years it will be a couple years till pokemon is moved there. For the amount of time it takes to remodel the pokemon AND EVERYTHING ELSE I think my be a year or 3. I will buy both Ruby and Sapphire when I am in the mood to walk to Gamestop which is like 40 mins from my house preferably when I get a day off work. I downloaded Alpha Sapphire the other day, but I only got a chance to start playing it yesterday. I'm enjoying it so far; I don't remember many details about Gen III, so my experience is somewhat fresh. As for next year, I think there will be a game that has something to do with Kalos. I have a feeling Game Freak isn't finished with that region yet. Of course, that's just a feeling, nothing more. I'd say that as far as Pokemon designs go, Gen 5 (Unova) had some really bad ones, but also a few good ones (Hydreigon is one of my favs!). Gen 6 I thought had some really great Pokemon designs. I don't remember there being a major backlash to the Gen 6 designs like there was to the Gen 5 ones. Easier Pokémon breeding and online connectivity has really boosted the community since X&Y. I'd be more than happy to see a new game every year. @Peach64 First, 30K + more sales for a week is no small feat. Sure, we've seen this happen with other franchises as well but this just goes to show that Pokémon is still a no brainer to japaneses on week one, even if it's a remake. Second, probably there will be 4 in a row indeed, because next year we shall see Pokémon Z (XZ and YZ, probably in the same manner of black and white).